The "fiscal cliff" - PR boon or boondoggle? The "fiscal cliff" is everywhere. Online, offline, in staff meetings, at industry gatherings, at holiday confabs - we have become barraged by a steady stream of news, analysis, and speculation of all things fiscal cliff. The “fiscal cliff” is everywhere. Online, offline, in staff meetings, at industry gatherings, at holiday confabs – we have become barraged by a steady stream of news, analysis, and speculation of all things fiscal cliff. The media is having a field day trying to determine who is doing what in negotiations. Either the Republicans are being stubborn, or the Democrats aren't being realistic – take your pick depending on your politic. Regardless, it seems neither is willing to let the other into their partisan sandbox. I've been thinking a lot about the fiscal cliff lately – more than I would like to admit, actually. On the serious side, I am concerned about the short-term implications for my wallet and the long-term implications for my livelihood. On the not so serious front, I have become exhausted with the marketing and communications of the fiscal cliff. I'm about ready to jump. As much as the talking wags on cable are trying to figure who is up and who is down in the debate, I am personally debating whether the cliff has cast a positive or negative light on our industry. Like it or not, public relations has taken center stage in the saga I simply refer as “the cliff.” (I tired of the “so-called” moniker weeks ago). The White House has been on the offensive with separate high-profile engagements with influencers like the Business Roundtable, National Council of LaRaza, and prominent African-American leaders. They have then proceeded to “alert” or perhaps even “leak” word of each gathering to the media in an attempt to secure coverage and sway public perception. Last week, President Barack Obama paid a carefully choreographed house call on a “typical American family” to discuss the cliff and how it would personally impact moms, dads, kids, workers, and retirees. Reporters and photographers were conveniently in tow. The optics were spot-on. Republicans have attempted their own orchestrations to counter. Reporting now includes coverage of the “PR Wars” surrounding the cliff, and Sunday morning roundtables dissect the PR strategies and tactics behind every move and message. I always get an uneasy feeling when the people we pitch turn the tables on us and try to decipher what we do and how and why we do it. The truth is, the larger cliff debate has provided us real PR pros with some level of opportunity. I know many colleagues and industry peers who are creatively attempting to link their clients to the issue in the hopes of inserting them in the news cycle. I know I have climbed the cliff to snag an interview and place a story. So aside from the all the seriousness of the real fiscal cliff issues, I'm grappling with what it has done to our industry. While the political pros are still politicking, I would love to know what real PR pros think. Has the cliff been a boon or a boondoggle for PR? 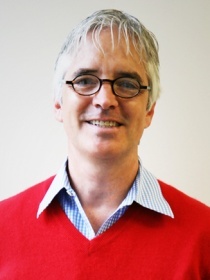 Tim Ryan is SVP of Bliss Integrated Communication and director of its Chicago office.